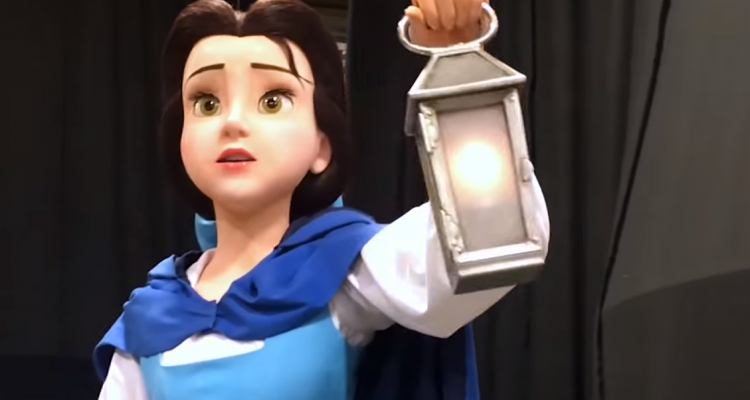 The sneak peek of Tokyo Disneyland’s under-construction “Beauty and the Beast” dark ride has enchanted Disney fans with its classic-looking animatronics — but they shouldn’t expect the attraction to make its way to Walt Disney World in the near future. Called the Enchanted Tale of Beauty and the Beast, the trackless dark ride will take guests riding in 10-seat teacups through Beast’s castle as they relive the story of the 1991 film. This includes a recreation of the film’s ballroom scene, with ride vehicles dancing along with Belle and Beast. The animatronics shown off in the Disney video drew praise from Disney fan sites and message boards. The figures resemble those seen in existing Disney World rides like Under the Sea: Journey of the Little Mermaid, rather than the projection-based animatronics used in Frozen Ever After at Epcot or Seven Dwarfs Mine Train at Magic Kingdom. While traditionalist Disney fans may prefer these versions, it actually represents a regression in animatronic technology. The more traditional appearance of the animatronics for this ride may be a design choice by the Oriental Land Company (OLC), the owners of the Tokyo Disney Resort. 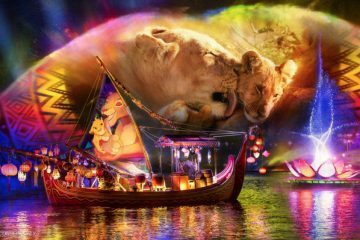 Unlike the domestic Disney theme parks and Disneyland Paris, Disney itself does not own or operate the Tokyo resort and its two parks; instead, OLC licenses the Disney characters and contracts with Disney Imagineers on new attractions. OLC prefers tried-and-true approaches to its rides. 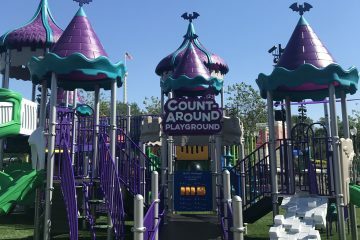 Even when the company has accepted new ideas, it has needed a connection to established Disney park concepts. According to longtime Disney reporter, historian and podcaster Jim Hill, when Imagineers were trying to pitch ideas for Tokyo DisneySea — a park unique to the Tokyo Disney Resort — the only way it could sell the concept to OLC was to explain how it paralleled what’s in Tokyo Disneyland and the Magic Kingdom, such as describing DisneySea’s Mount Prometheus as that park’s Cinderella Castle. This traditionalist thinking may be why OLC opted for the “Beauty and the Beast” dark ride and new indoor performance space called the Fantasyland Forest Theatre for an expansion of Tokyo Disneyland’s Fantasyland, instead of copying elements from Magic Kingdom’s New Fantasyland project. It’s unlikely that Orlando will be getting its own version of the ride anytime soon, according to Zanetti. “Beauty and the Beast” is already well represented in Disney World parks, with Be Our Guest and Enchanted Tales with Belle at the Magic Kingdom, a stage show in Disney’s Hollywood Studios, and soon a singalong in Epcot. As is typically the case with future attraction plans, Disney did not respond to a request for comment on whether the Tokyo ride will be imported to Disney World. Most families planning Disney World trips won’t even know they’re missing out on a “Beauty and the Beast” attraction being built on the other side of the globe. “Most of the clients I work with don’t know much, if anything, about international Disney parks and their attractions,” said Michelle Bulmer, co-owner of Mouse & Muggle Travel Company, which specializes in Orlando theme park vacations. Other rides have debuted in international parks before coming to Orlando. 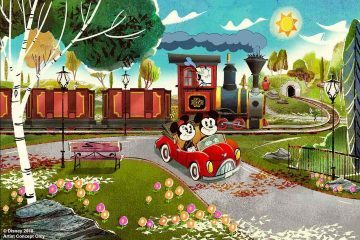 Examples include the “Tron” coaster from Shanghai Disneyland and the “Ratatouille” dark ride from Walt Disney Studios Park in Paris, both of which are set to open at Disney World in time for the resort’s 50th anniversary in 2021. In Tokyo Disney’s case, however, OLC may prevent Disney from importing attractions like the Enchanted Tale of Beauty and the Beast for some number of years.